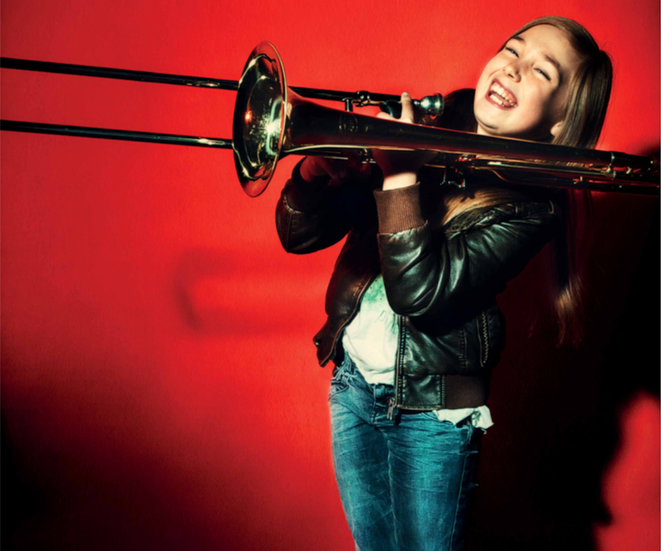 Sophie Bright is 12-year-old trombonist and trumpeter, who studies music in the “talent program” in Switzerland. She has discovered jazz as trombonist in Swing Kids, a popular Swiss big band directed by Dai Kimoto. With the band she played at international festivals and concert tours in Japan, France, Germany, Argentina and Paraguay. Sophie’s technical skill, tone quality and musicianship have been acknowledged as she went to win several top prizes in youth music contests. Sophie’s ultimate passion is jazz improvisation. She enjoys inventing tunes – and what can be more fun than doing this in front of an enthusiastic audience? Collecting the energizing experiences of international jazz culture, Sophie played at jam jazz sessions in Switzerland, Germany, Norway, UK and Russia. She is now eager to discover the Asian jazz scene.